The word Ikigai comes to us from Japan -- its closest meaning is raison d'être in French -- what one lives for, what makes your life worth living, why you inhale and exhale each breath. In a series of essays on philosophy, history, strategy, planning, and achieving, this book is about living purposefully and with meaning. Have you found your Ikigai yet? This book is for you. For a limited time, forward your Amazon receipt to gifts+ikigai@theoneweekbook.com and receive a FREE copy of Get Some Victory. To learn more, enter your email to get updates. "Sebastian Marshall approaches life unlike anyone else I've ever met. And this book is unlike anything you've ever read. 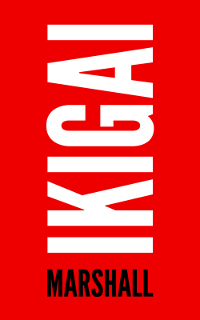 IKIGAI is a condensed and organized look at his most powerful impact ideas. You will likely be insulted, frustrated and perhaps even furious while reading this book. But the bottom-line is that this book delivers the goods. Finish it and I guarantee you'll never be the same."